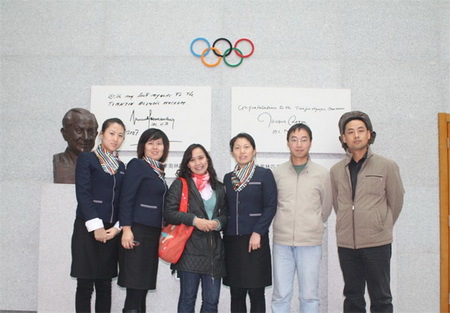 November 11th, Cathy, the senior editor from TianjinPlus Magazine paid a visit to Tianjin D. Olympic Museum, and made a special report about the museum. TianjinPlus is an English magazine and its main readers are foreigners in China, and it covers tourism, transportation, diet and so on. Cathy (from the Philippines), in the company of our stall of the museum looked arround the museum, the English guide made the interpretation, and answered her questions. 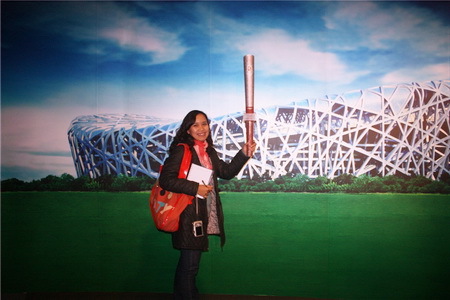 Cathy showed great interest in the exhibits, and took many pictures.